Hub City Media's Product Suite includes products that both complement our partner's platforms and enhance cloud and on-premise implementations, all built with the future in mind. Discover how we innovate. Crucial to any identity system, governance offers support essential for enterprise IT security and the ability to efficiently meet regulatory compliance. Built with a ForgeRock native framework and complementary interface elements, Hub City Media’s Governance delivers a cohesive and simplified user experience with the capability to certify users and manage roles and policy violations in a highly efficient, precise manner. Hub City Media's Governance (HCM IDG™) is completely integrated to ForgeRock and is not an add-on product. Users familiar with the ForgeRock platform will see a simple, clean interface that they know, and won't need customization. With this high-performance, easy-to-use technology, minimal product training is needed to get teams up to speed and ready to go. HCM IDG™ has CSS Branding capabilities, so the application can be adjusted to match a client's corporate look and feel. With Hub City Media's Governance (HCM IDG™), you can automate once manual processes, saving valuable time and minimizing human error. Resources required to complete certifications are also reduced, leaving your team free to work on other high-value tasks. ForgeRock IDM: HCM IDG™ version 2.5 is designed to work with ForgeRock IDM version 5.x and 6.x. All connectors supported by IDM are supported sources of data for IDG™. Java Environment: HCM IDG™ requires Java Runtime Environment 7 or 8. 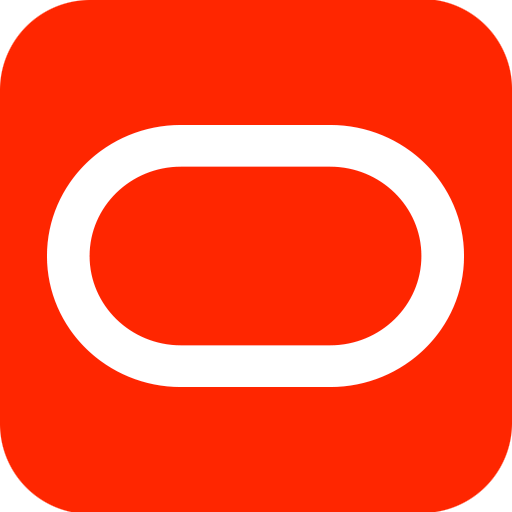 Hub City Media recommends the use of Oracle Standard Edition HotSpot or OpenJDK. System Requirements: HCM IDG™ requires at least 400MB disk space and 4GB memory for non-production implementations. Production sizing will depend upon user population, audit requirements and certification frequency. Delegation of administrative privileges allows employees, like Customer Service or Help Desk Representatives, to access user information. Without the ability to limit and target administrative access in your system, you are providing these types of users with the power to change private information, like social security numbers. Hub City Media's Delegated Administration (HCM IDA™) prevents this type of blanket access without any need for product customizations. Create administrative policies that specifically define the action that one type of user can perform on another with a robust expression builder. Technical or non-technical users are given the ability to create filters that assign administrative privileges to an individual or group, and limit the users they can perform those actions on. This gives you complete control over the distribution of privileged access to user data. Creating and maintaining custom code is time consuming, expensive and gets messy when it's time to upgrade. Hub City Media's Delegated Administration (HCM IDA™) was built using ForgeRock APIs and is fully integrated with the ForgeRock Identity Platform - so the only thing you need to worry about is using the product, not creating it. ForgeRock IDM: HCM IDA™ version 1.0 is designed to work with ForgeRock IDM versions 4.5, 5.0, 5.5 and 6.0. Java Environment: HCM IDA™ requires Java Runtime Environment 7 or 8. Hub City Media recommends the use of Oracle Standard Edition HotSpot or OpenJDK. System Requirements: HCM IDA™ requires at least 400MB disk space and 4GB memory for non-production implementations. Production sizing will depend upon user population. Without an integrated reporting tool, businesses face several hurdles. Not only must they install, build and maintain infrastructure for these standalone systems, but the majority of reports must be manually created and customized. 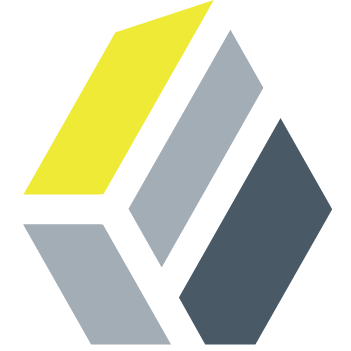 Tightly integrated into the ForgeRock platform, Hub City Media’s Reporting tool (HCM IDR™) eliminates requirements for reporting system integration and provides intuitive functionality for ForgeRock users! With Hub City Media's Reporting tool (HCM IDR™), you can quickly and efficiently meet compliance and get a comprehensive understanding of your systems. It includes a wide variety of reporting options, spanning Systems Access, Certification, Policy Violations and much more. While it was built with many commonly required out-of-the-box reports, creating new reports is simple and intuitive. ForgeRock IDM: HCM IDR™ version 1.0 is designed to work with ForgeRock IDM version 4.0, 4.5, 5.0, 5.5 and 6.0. HCM IDR™ does not support IDM’s packaged evaluation database, OrientDB. Java Environment: HCM IDR™ requires Java Runtime Environment 7 or 8. Hub City Media recommends the use of Oracle Standard Edition HotSpot or OpenJDK. System Requirements: HCM IDR™ requires at least 400MB disk space and 2GB memory for non-production implementations. Production sizing will depend on number of users and report size requirements. Hub City Media's Single Sign-On technology expand the SaaS experience to on-premise Web Access Management (WAM) and legacy applications, so nothing is left behind during a move to the cloud. Enterprise Databases offer the “Crown Jewels” for hackers. Protecting that data begins with protecting access to databases, especially for privileged accounts - such as DBAs. Through RADIUS integration, Hub City Media enables crucial protection of these critical assets out-of-the-box. Our Multi-factor Authentication solution is P.C.I (Payment Card Industry) 3.2 DSS (Data Security Standard) 8.3 Compliant. Flexible integration possibilities with existing service providers are avaialble to implement an additional factor of Authentication for DBAs, VPNs and Wireless Networks. Databases are only the beginning. Our Multi-factor capabilities are based on the standard RADIUS protocol, which supports other systems integrations including VPN, Wireless Access Points and Network devices. Moving to the cloud isn’t accomplished in a single trip – it's a journey. Oracle IDCS and Hub City Media Provisioning will get you there. Enterprises need to secure on-premise applications, protect existing Identity investments and provide a seamless user experience to satisfy demands. Hub City Media’s Provisioning product enables the journey by leveraging lightweight, on-premise connectors and cloud services, forming a complete hybrid identity. *Connectors are continually added to our product portfolio as need is expressed. Installing security software can require hours of sitting in front of a computer screen, wasting valuable time and resources. Hub City Media’s automation technology does the work for you with one command – no human supervision required. Your installation is completed quickly and correctly, and your team is free to complete other tasks. A full product installation takes as little as 10-minutes - a fraction of the time it would take without this tool. Our Automation tool as the capacity to handle single servers, mass installs and clusters, and is easily tailored to meet individual needs. Speed your installation and conserve resources with an automated implementation.